Busy Frugal Family: Save Money on Groceries at DAISO! 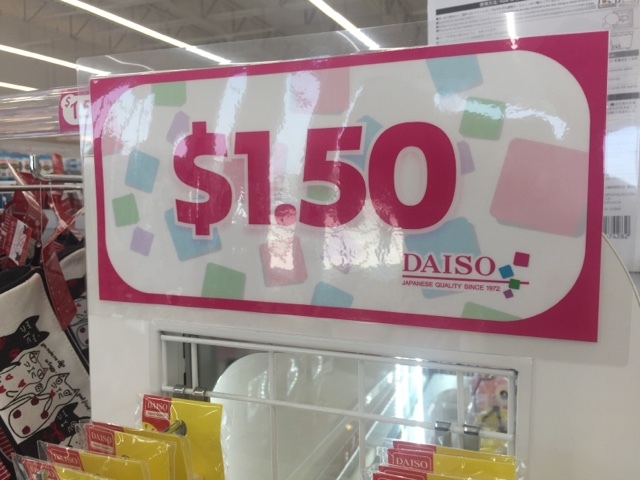 Save Money on Groceries at DAISO! 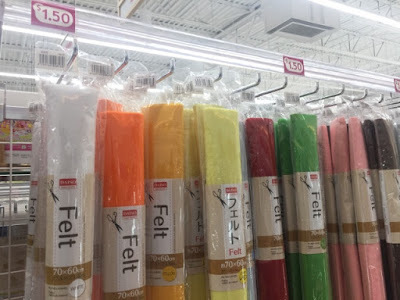 Do you like to shop at dollar stores? 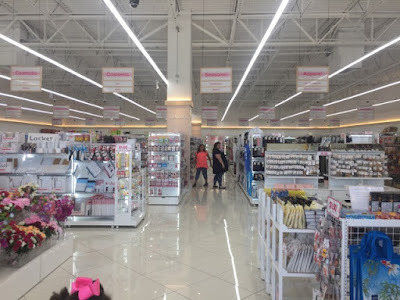 Do you like to get your shopping done fast? Then make a shopping trip to your nearest DAISO store! 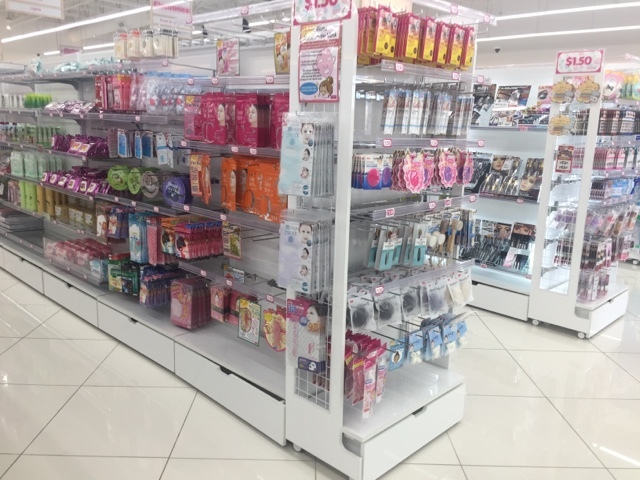 The first thing we noticed after walking in the store was how bright the store was because of the white and pink color scheme. 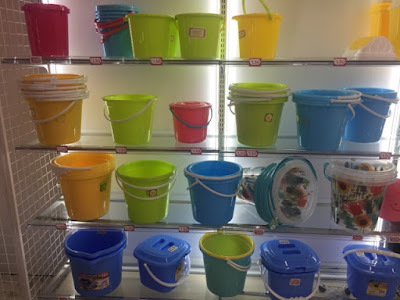 Like many dollar stores, the majority of items are one price. At DAISO, most items are $1.50. 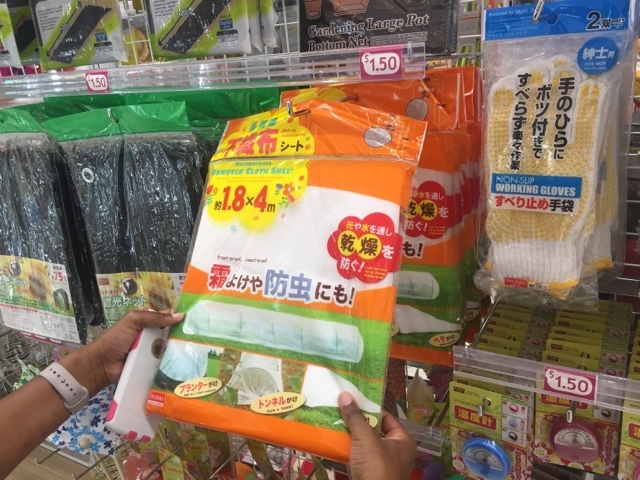 The extra fifty cents allows them to carry a few items you might not find at other dollar stores. I've never seen felt at a dollar store before! 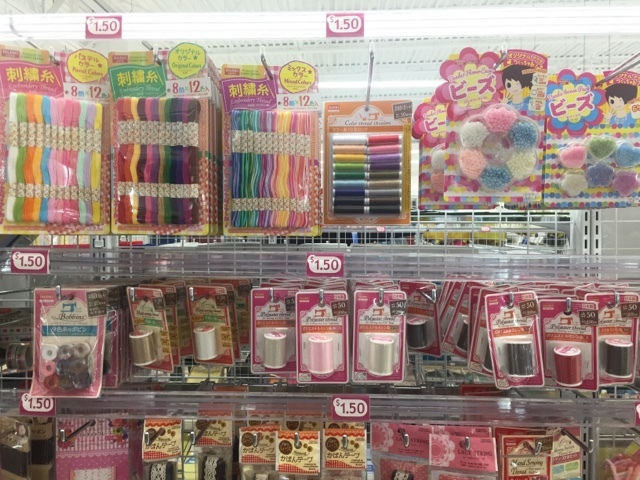 DAISO carries a variety of craft supplies! 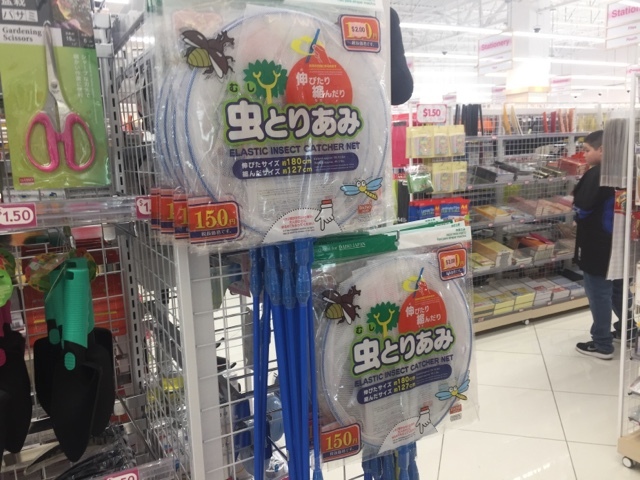 DAISO also carries gardening supplies! You will also find a large selection of toys! 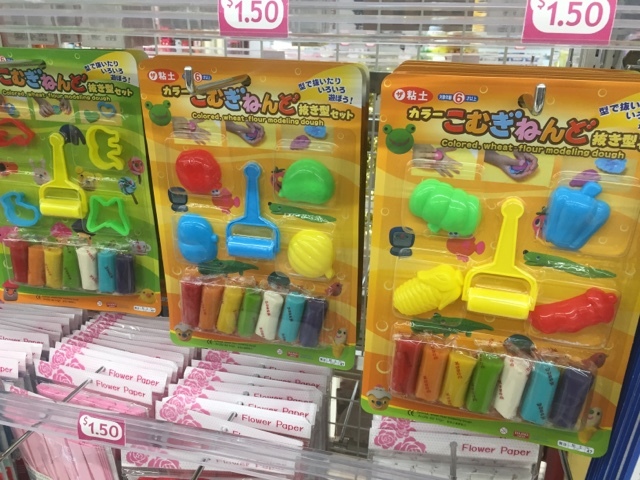 Sports enthusiasts can also find items at DAISO. 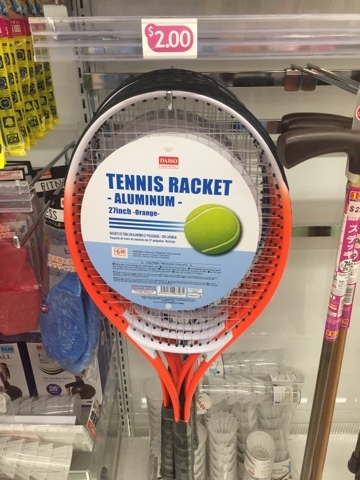 While it's not $1.50, this tennis racket is a steal at $2.00! 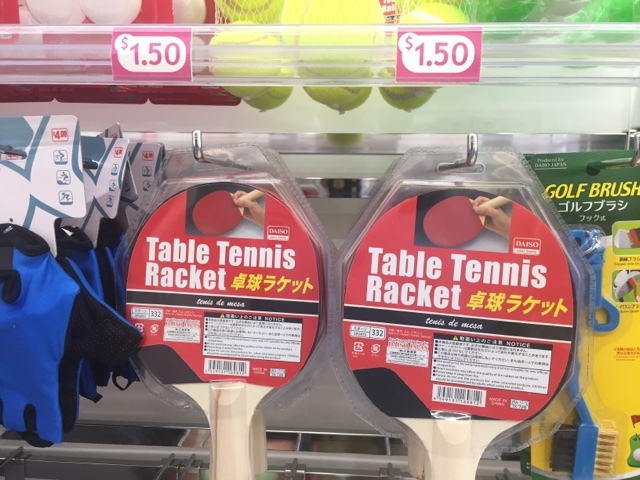 DAISO even carries ping pong paddles and gloves! 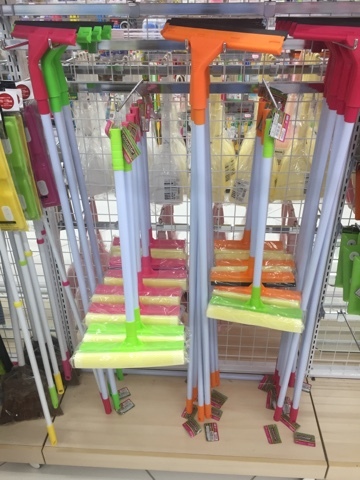 DAISO even carries cleaning supplies. 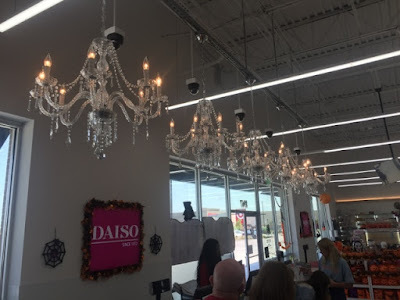 The chandeliers at the checkout line are a nice touch! You can also find a large selection of international food products to try! 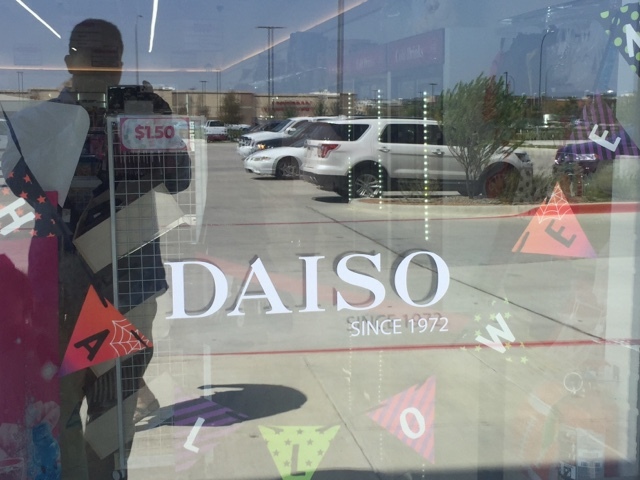 Have you ever shopped at DAISO? What did you find? How to Save Time and Money with Kroger Clicklist!